There was a misunderstanding and I got wrong phone cases I wanted to try out. I got 2 cute Iphone 4/4s cases which obviously don't fit on my Samsung Galaxy S3. I was a bit sad because I was excited about these but okay I'm getting the right ones next time and I already found a new home for them, just need to ship them out. I really like the bow case because it's so cute and I loove cute stuff! 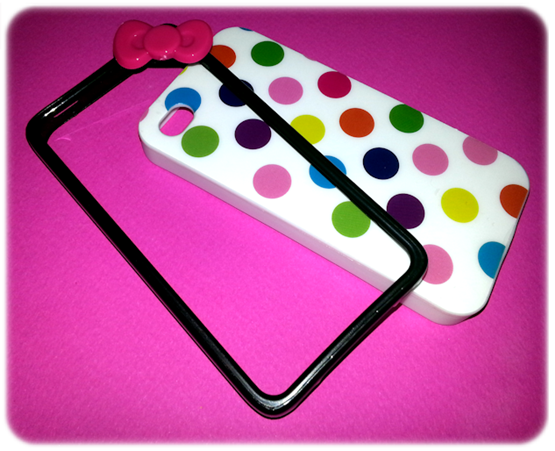 :i Dots looks cute too and both phone cases feel really sturdy. Then I got some studs. Studs are really everywhere so if you want to be in trend, be sure you check their studs. I got rounded gold studs, maybe a bit too big for my taste but what I really love about them that they are pretty flat and I love flat stuff for nails. Here I took a picture of the neon pink ones I already showed you here so you can see that these are bigger. 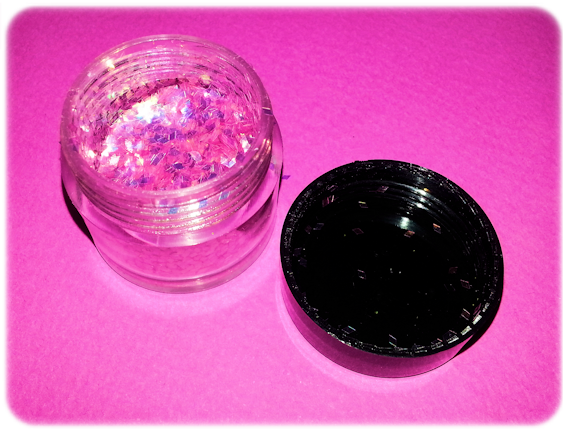 Last but not least I got the loose deltoid shaped glitter in iridescent pink which I used on my Halloween manicure. It looks pink in the pot but over black became orange to green but I'll have to use it over different colors. I applied a coat of black polish and put my nail into the pot so the glitter has stuck on my nail. Applied a layer of top coat to get a smooth surface and that's it! Close up, full mani here. I'm sorry for this really bad review. :$ I know you can't really help yourself but I would recommend the studs and the cases, not really a fan of this deltoid shaped glitter, because it's pretty small so you can't really place them on one by one, I'm just too lazy for that. 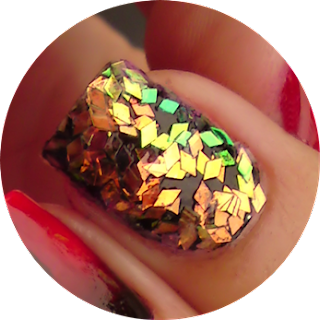 :-D I'm more a hexagonal glitter fan in every possible color, yes please!!!! *Some of the products in this post were sent to me by Born Pretty Store! For more information read my disclosure policy! cute cases! 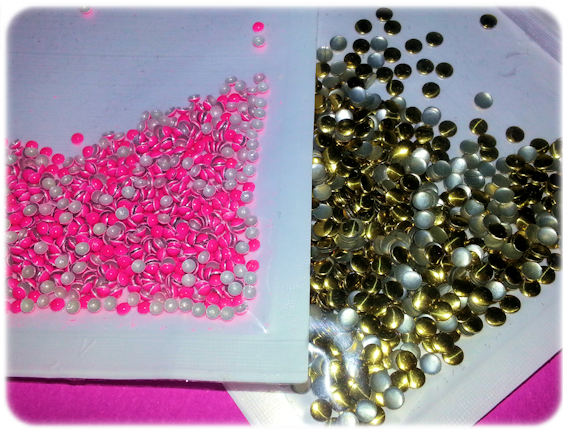 love the studs, they are just awesome! Mi trenutno delamo na ovitkih za telefone in vedno končamo pri črnih z edgy detajli. Naša Eva Ana pa vedno tečnari, da hoče met takega, roza haha..